Old Orchard Beach meant a lot to Jan, so it was perfectly fitting for then-boyfriend Rich to propose on the sandy shores of the coastline she’d grown up on. The best part? She had no clue since the couple had been vacationing there every summer for years. 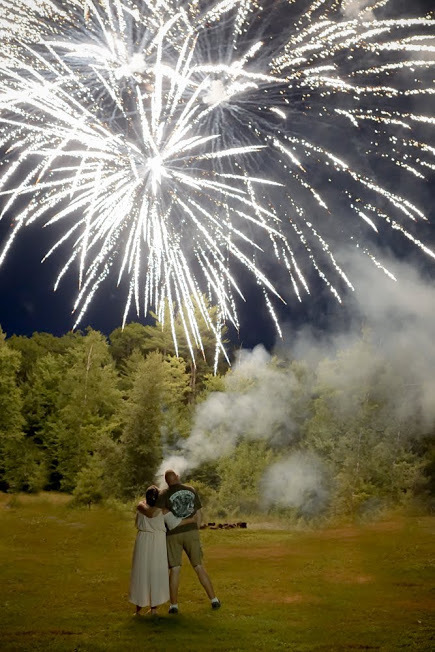 Fast forward to 2018 and the couple were planning a backyard summer wedding in New Hampshire. Their land boasts a scenic view of Mt. Ucanoonuc and a large pond would serve as the perfect backdrop for photos. The couple decided to save money by doing everything themselves, from food to tabletop settings to music. Opting for navy blue dresses for the bridesmaids and blue Hawaiian shirts for the groomsmen, the couple complemented the outfits with giant sunflowers. 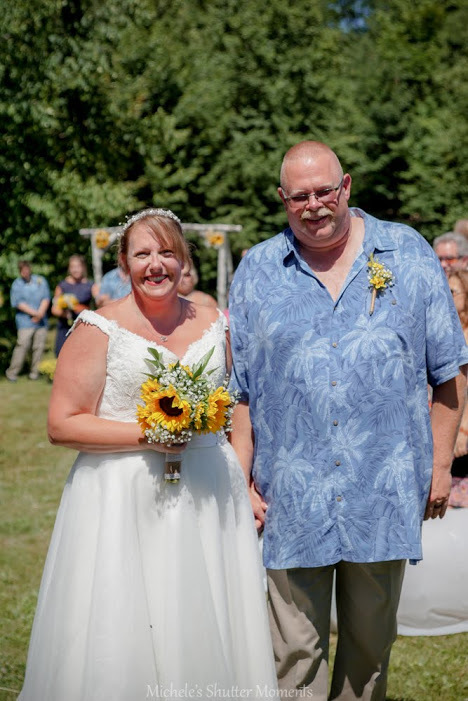 Jan made all of the bouquets and boutonnieres herself, and sunflowers decorated the awning and the reception area. 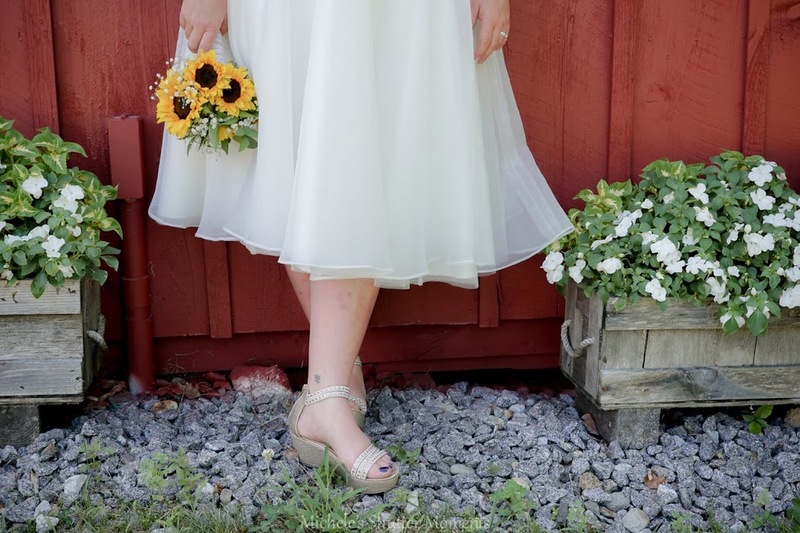 The bride traveled from New Hampshire to Elizabella’s Bridal Boutique to search for her dress, and immediately fell in love with a floor-length gown. But since the wedding would be taking place in July, the staff at Elizabella’s helped transformed the gown into a tea-length work-of-art. The wedding went off without a hitch, especially considering there were a few surprise elements. Wedding jitters are a real thing. And at the Chapin wedding, hubby was so excited he accidentally said “I do” before the officiant could finish his sentence. But to be fair, the two were split for nine months while Kyle was deployed to Guantanamo Bay with the United States Coast Guard. In 2017, after Kyle returned from deployment in February, the two spent March 22 hiking Linville Falls, where Kyle got down on one knee and proposed with his grandmother’s ring. Paige wanted their wedding to reflect more of her North Carolina roots while Kyle wanted them to reflect his Florida ones, so the two agreed to compromise and planned a rustic coastal themed wedding. Held at the Neuse Breeze in Havelock, North Carolina, the day included a beautiful flower arch with chandelier that they stood under during the ceremony, and oyster shells with guests names on each table during the reception instead of place cards. Their color scheme included blush pink with cameo gold with navy. The two were wed on Saturday, April, 28, 2018 in front of roughly 100 people. And throughout their special day, there were other sweet details, too. Paige wore a Justin Alexander gown from their Sincerity Collection, and the two honeymooned in Italy. Photographs courtesy of Becca Kate Photography. There’s no way of knowing ahead of time the exact reason we’ll fall for someone. It comes out of nowhere, and sometimes it’s a look, a pickup line, or the way their hair sticks up after they rub a hand through it. But for Brianna Brown, it was the dance moves that Jacob Powell had. “Jacob made me laugh with his adorable dance moves and he eventually approached me to ask for my name,” Brianna says. And from there, she says, the rest was history. The two met at Appalachian State University in Boone, North Carolina. It was by chance that they ended up at the same bar during a night out, shaking off some stress from the rigors of school. A few years later, over a “special moment”, Jacob got on one knee and proposed to Brianna. But this wasn’t the original plan. The wedding was set for May 20, 2018 at the Wrightsville Manor in Wilmington, North Carolina. Exactly 150 of Brianna and Jacob’s closest friends and family members attended the ceremony. 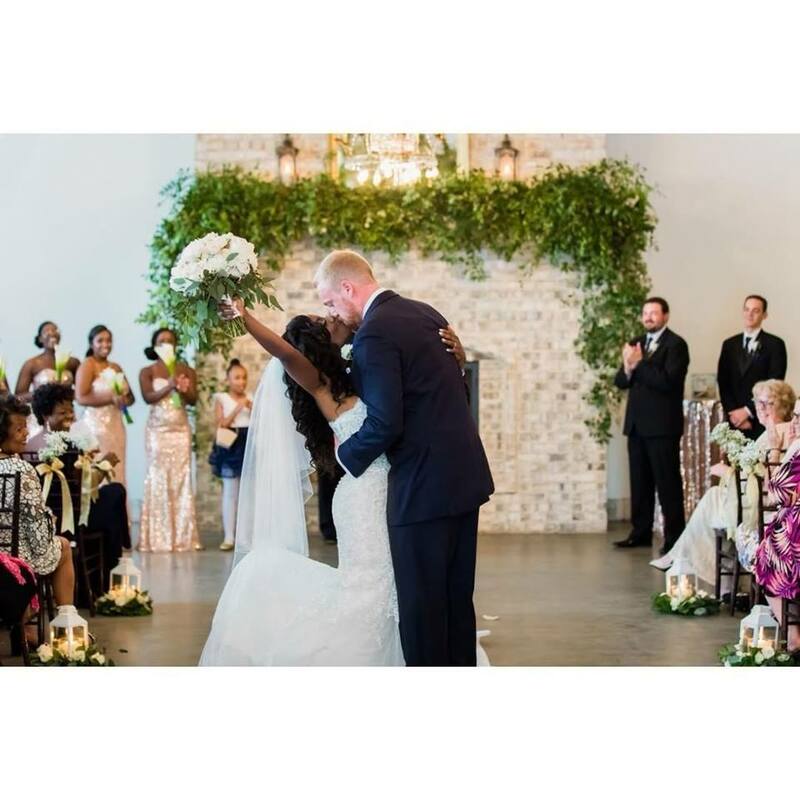 A violinist performed while a live vocalist sang as Brianna walked down the aisle. Both of them prepared their own vows. 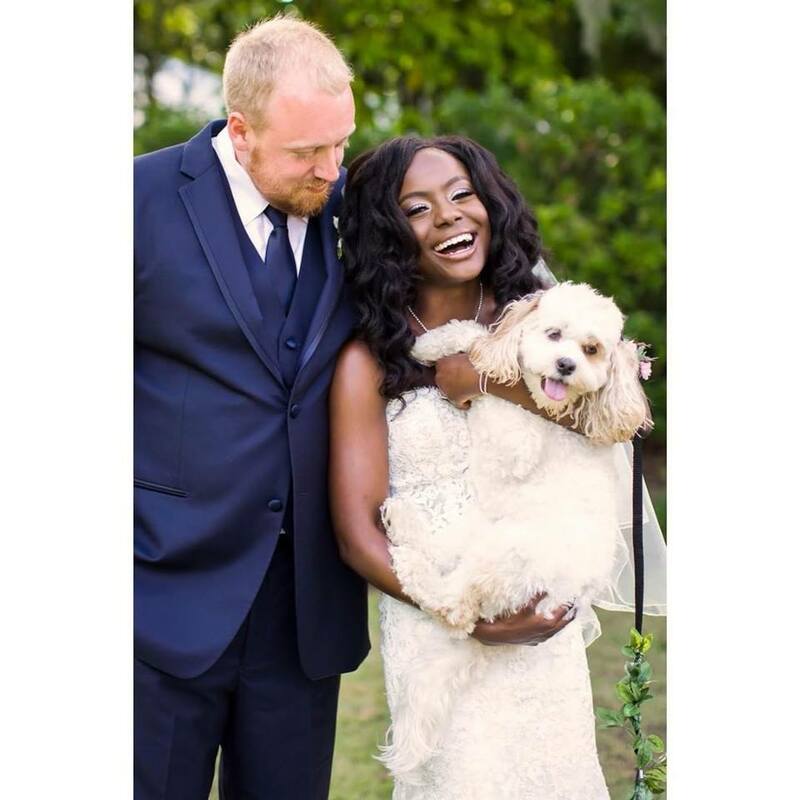 Brianna’s dog, Ivy, also walked down the aisle, which is one of her favorite memories from the day. After the indoor ceremony, everyone let loose at the reception. 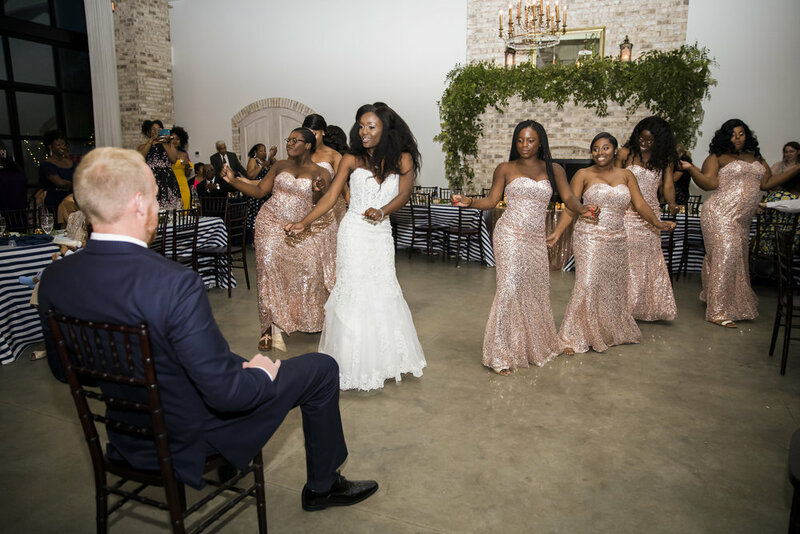 Brianna and her bridesmaids performed a dance routine to one of Beyonce’s songs, which got everyone up and out of their seats. It was the beginning of a long night of dancing. 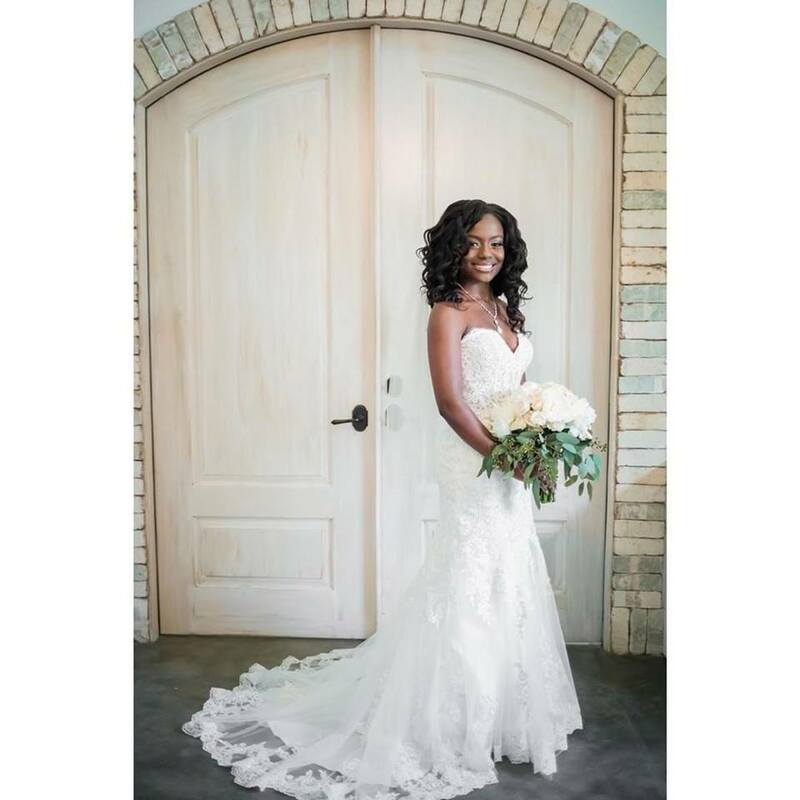 The bride wore a strapless lace-corset Eddy K gown that added a feminine flair to the elegant wedding. She purchased her dress from Elizabella’s Bridal Boutique. Their wedding day went off without any surprises—unless you count Jacob’s secret wedding surprise for Brianna. “After we finished eating dinner, Jacob surprised me with a poem he had written,” she says. This moment aside, the day was absolutely perfect, and the couple wouldn’t change a thing. “I keep going back through my pictures to relive the day and I'm just so grateful for all of my family, friends, and vendors for making my night the amazing one that it was,” Brianna says.